Wikipedia states that the macaron is a French sweet meringue-based confection made with egg white, icing sugar, granulated sugar, almond powder or ground almond, and food colouring. These tiny delicious sugary shots are roughly 3 to 5 centimeters in diameter and popular variants exist in many regions of France. People often confuse them with the macaroons more popular in the English speaking world. 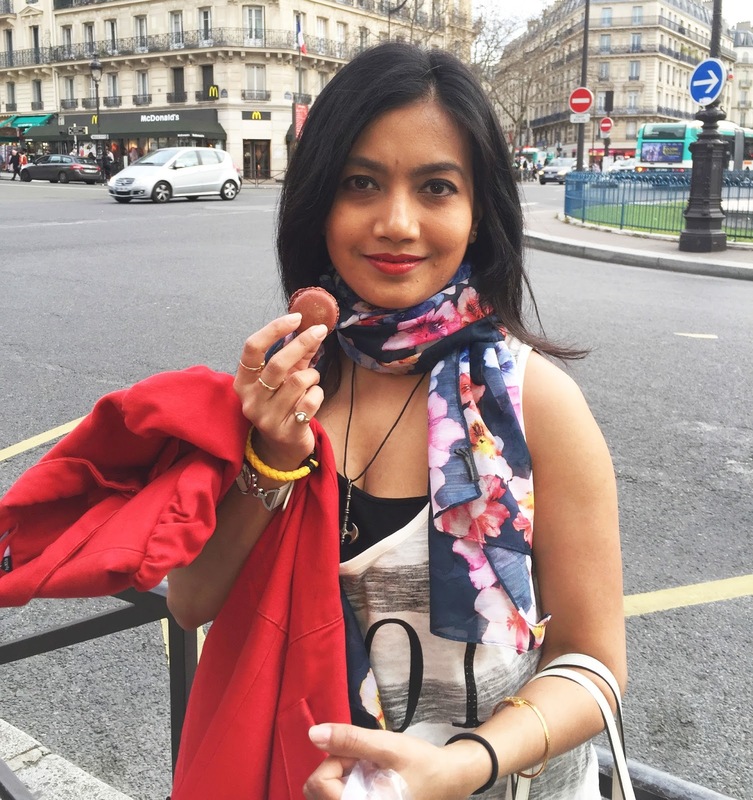 No, this blog is about French cakes and French delights and anywhere in France un macaron, s'il vous plait, will simply fetch you creamy fillings encrusted by brittle flavored almond shells. Even in France variations of the macarons exist and you may well end up with only the brittle shell without the creamy filling if you try them in cities like Séderon or Sault. 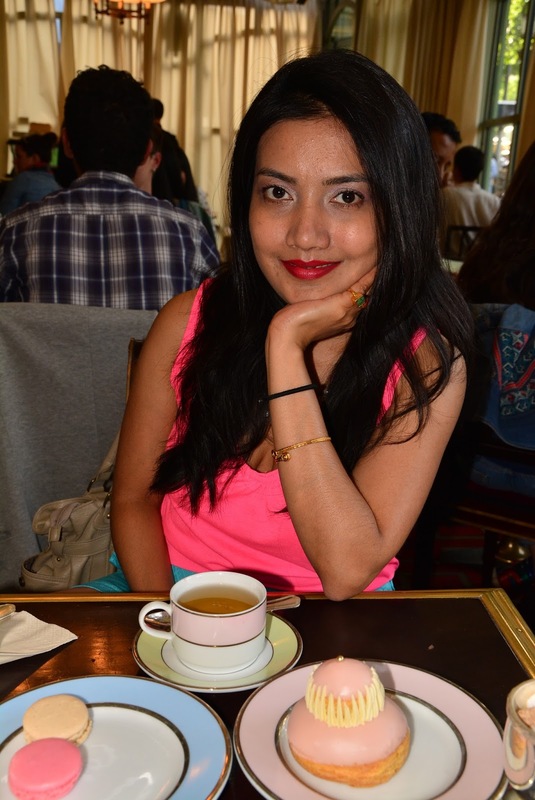 The macarons I am talking about here were supposed to have originated in the city of Boulay in the 1850s and were made popular in Paris a century ago. 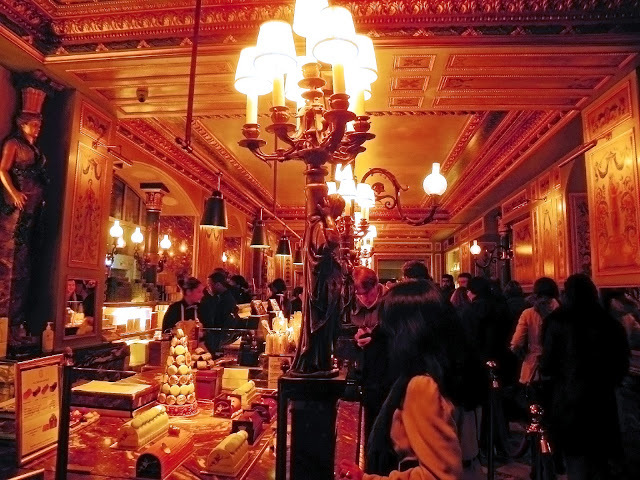 And the city moved on, the metro and electric cars filled its streets, tourists started pouring in and with it changed the city's taste, cuisine, restaurants and bakeries, but the little sweet gourmands still remain the same. 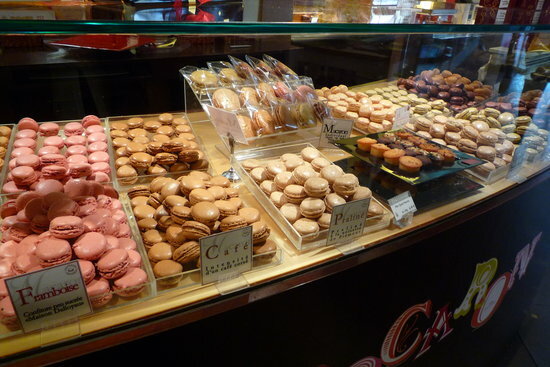 Now in almost all alleys and corners of Paris, one may find boulangers and pâtisseries which often brand macarons as their specialities and something which can well be used to identify Paris. Not going into further details and descriptions I will rank three of my favorite places in Paris where one can taste these pleasures for the sweet teeth. The gold goes to Pierre Hermé, the heir to four generations of Alsatian bakery and pastry-making tradition, is known as the ''Picasso of Pastry''. 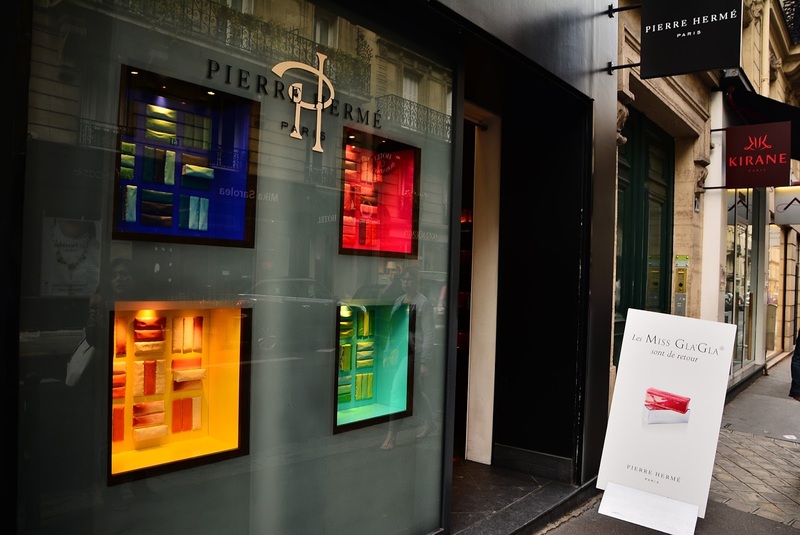 He opened the first Pierre Hermé boutique in Tokyo in 1998 and then in Paris at 72 rue Bonaparte, just around the corner of Saint Sulpice Church, in 2001. This is the outlet where I tried my first Pierre Hermé masterpiece and immediately loved it. A second boutique was opened at 185 rue de Vaugirard. 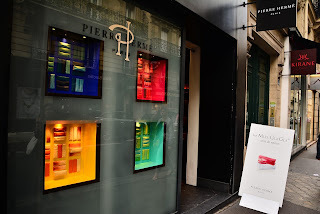 Pierre Hermé boutiques can now be found scattered around Paris and the latest outlet opened its doors on Champs Elysees opposite the Arc de Triomphe. 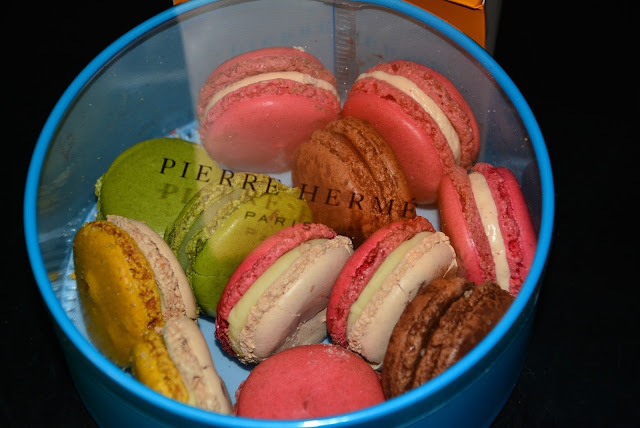 Each flavor of Pierre Hermé is a mystery in itself. 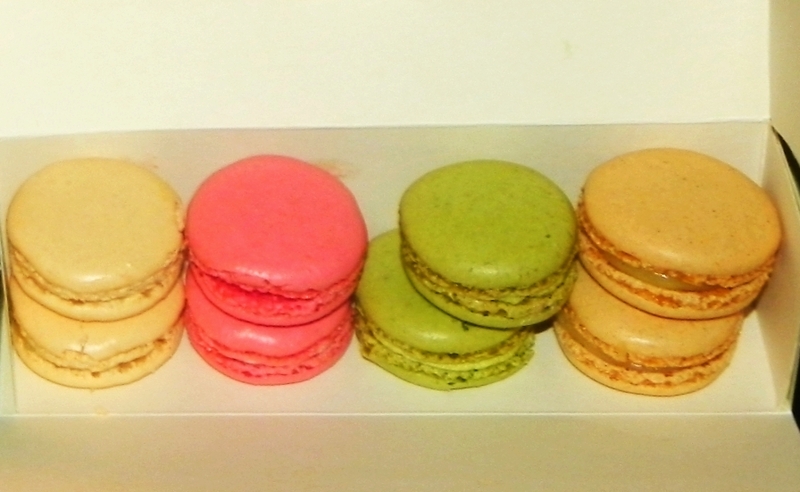 My favorite is the rose flavored macaron which they call "Infiniment Rose". Then there is Montebello which is combination of peach and raspberry, Mogador, a melange of milk chocolate and passion fruit and finally the unique chefs d'oeuvre of Pierre Hermé is the Velouté Ispahan which combines yogurt with rose, litchi and raspberry. And if anyone ever said that macarons only came in circular shapes, Pierre Hermé just proved them wrong. You can also try out the rectangular macaron ice creams which are available in all the above mentioned flavors, and they call it Miss Gla'Gla, and don't ask me why. I tried out the Ispahan and Montbello of which I prefer the Ispahan. Pierre Desfontaines, the grandson of the founder of Ladurée originally came up with the idea that resulted in the modern day macarons. 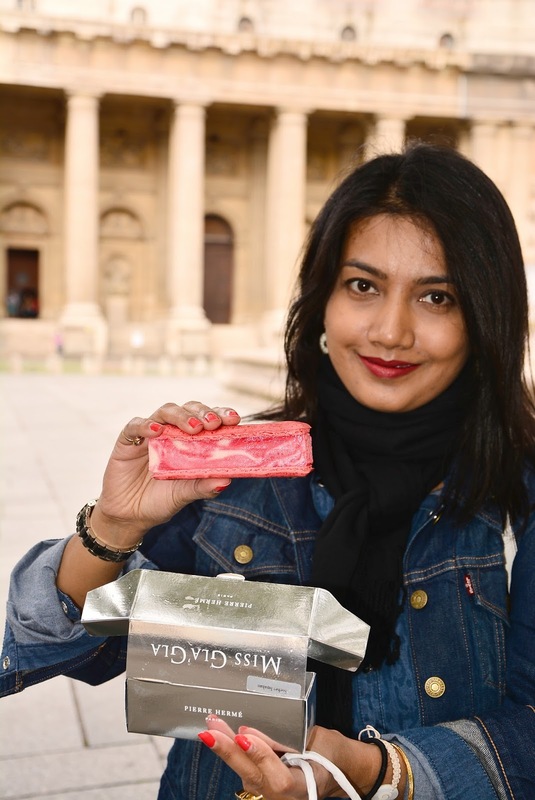 This claim is strongly under dispute, the main dissenter being the 3rd place candidate of this blog, however we will not go into the controversies and simply focus of the pleasures one is bound to indulge in when a macaron from Ladurée melts in their mouths. 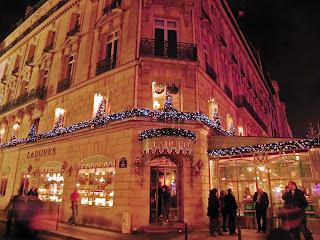 There are 5 boutiques where one can find the Ladurée delicacies, the most famous being the one on Champs Elysees where you can well expect to wait in a long queue to buy the macarons. The same boutique also has a tea room, again where it is tough to find a place during the rush hours. Among the different flavors that Ladurée has to offer my favorites are 'Rose Petals', 'Orange Blossom' and Vanilla. Make sure to try out the macarons at Ladurée when you visit Paris, and I may even dare to say that Ladurée, Champs Elysees may well be in a tourists must-see list right after the Eiffel Tower and Louvre. Apart from the macarons, when you are at Ladurée you should not miss the other sugary ecstasies that they have to offer. If you happen to be here during winter, you can try the traditional French log cake which comes in different Ladurée trademark flavors. Other French traditional pastries like the eclair or religieuse are also available and are unique in taste and quality. And the bronze goes to the patisserie that claims to be ''the inventor of good taste since 1682''. The house of Dalloyau has a long history that started with serving bread to the French royal court and wearing the very prestigious title of "Officier de bouche", the highest French gastronomy distinction at the time. Post French revolution, the Dalloyau dynasty underwent a make over from serving the elites to serving the new french bourgeois in Paris and consequently the first Dalloyau boutique opened its doors to the public at the posh Rue du Faubourg Saint-Honoré. But I must admit that I am not a fan of the breads they make. I personally do not think that their breads live up to the expections one may have from the suppliers of the erstwhile French monarchs. But their macarons, that is a different expertise all together, and they claim to be making traditional macarons for more than 300 years. 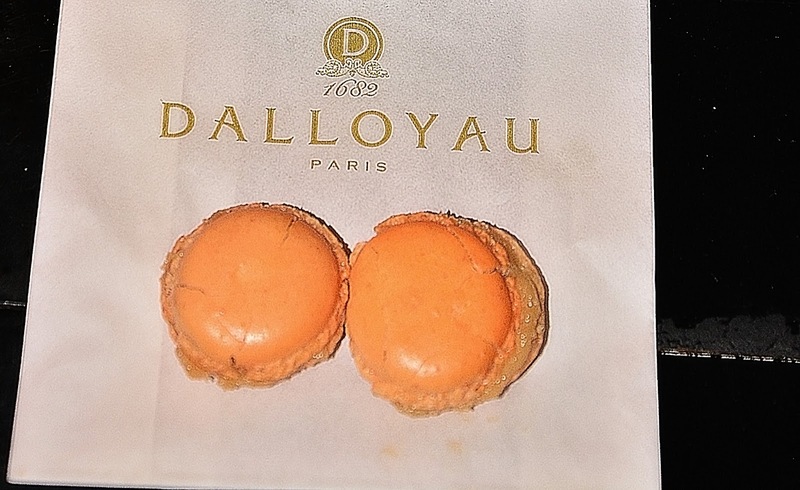 If this is to be believed, then Dalloyau can well be considered as the creators of macarons, though we are quite justified to have our doubts on this claim. Inventors, creators or not, inspite the claims and counter claims, one thing is certain, and the very reason why Dalloyau made to this list, is that the macarons at Dalloyau comes in unique flavors and combinations that reflects the sheer talents and creativity of the makers of this house. One must be careful though, that all flavors of Dalloyau macarons are not available throughout the year and are rather seasonal. And the Oscar for the best combination and unique flavor goes to "champagne-cognac", and that is evident itself in the name. This is however available only from fall through winter. Other flavors include a combination of orange, mango and speculoos, the raspberry with fruit pulp sandwiched between and the simple chocolate made from Venezuelan 70% cacao. 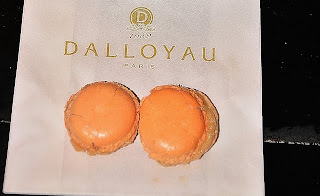 I must also mention that Dalloyau is more famous and sans counter-claims for being the creator of the Opera cake which is made with layers of almond sponge cake soaked in coffee syrup, layered with ganache, of course the same ganache that they use to fill their macarons.